No matter how you pronounce “PECANS” these nuts are a delicious & nutritious treat. Sweet or savory in traditional desserts or in surprisingly contemporary side dishes and entrées, pecans are ready to break out of their shell! Every nut has a good nut-rition story to tell and during the holidays pecans deliver an especially tasty tale. Here are the good nutrition facts for one ounce (about 20 halves or a handful) of pecans. What does this all mean? It means that pecans are heart healthy (approved by the American Heart Association) and provide a good source of vegetable based protein and dietary fiber important for good health. 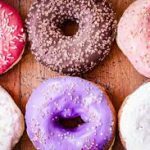 In addition to that they are of course gluten-free, sodium free, and cholesterol free. Pecans are also a good source of the mineral potassium and B vitamins. Enjoy a handful, not a can full when adding nuts to a healthy diet. My double handful of pecans in their shells represents about one ounce of halves when cracked. Freshly harvested at Sunnyland Farms in south Georgia near Albany. Did you know that pecans are the only major tree nut indigenous to North America? It is said that Native Americans first cultivated the pecan tree. According to the National Pecan Shellers Association, pecan production has steadily increased in the United States, rising from 2.2 million pounds annually in 1920 to between 250 and 300 million pounds today. Pecan processing was developed in the early 1920’s. 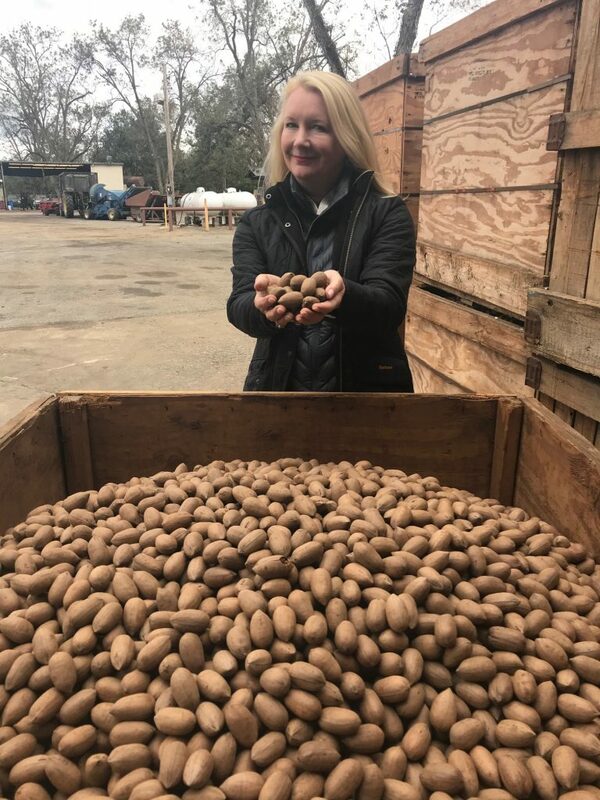 Improvements in storage life, such as temperature and humidity control, have paved the way for pecans to be exported worldwide. So let’s take this nutty food show on the road! There’s no denying that the reason pecans are so incredibly popular is because they taste so darn good. How would I describe the taste of pecans? To me they are a little sweeter then a walnut, creamier than an almond, crunchier than a pistacchio and have a natural nutty flavor that really comes alive when you toast the pecan. 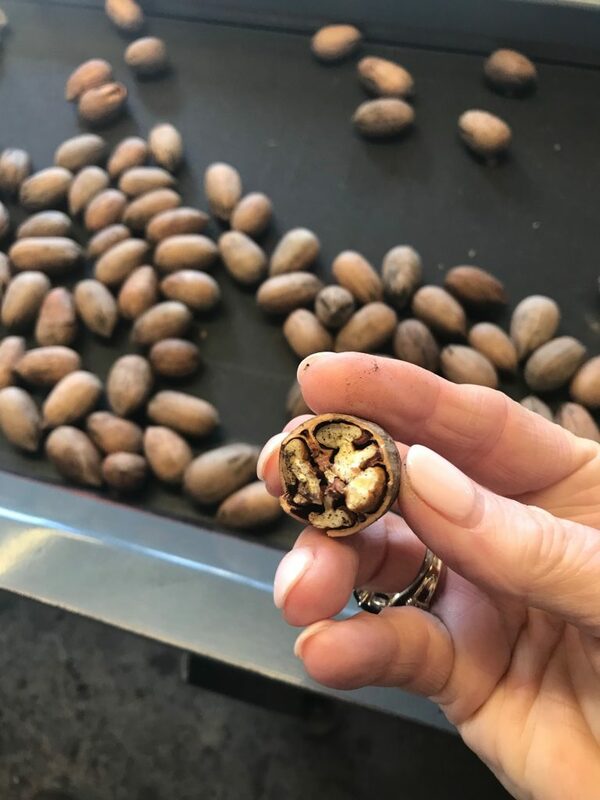 As I learned at the 2018 Pecan Chefs Summit held in Atlanta recently, just about every pecan recipe begins with toasting the raw nut to heighten all of the wonderful flavors. Undoubtably the most famous pecan recipe is the pecan pie and believe me we tasted delicious pecan pie recipes at the Chef Summit. 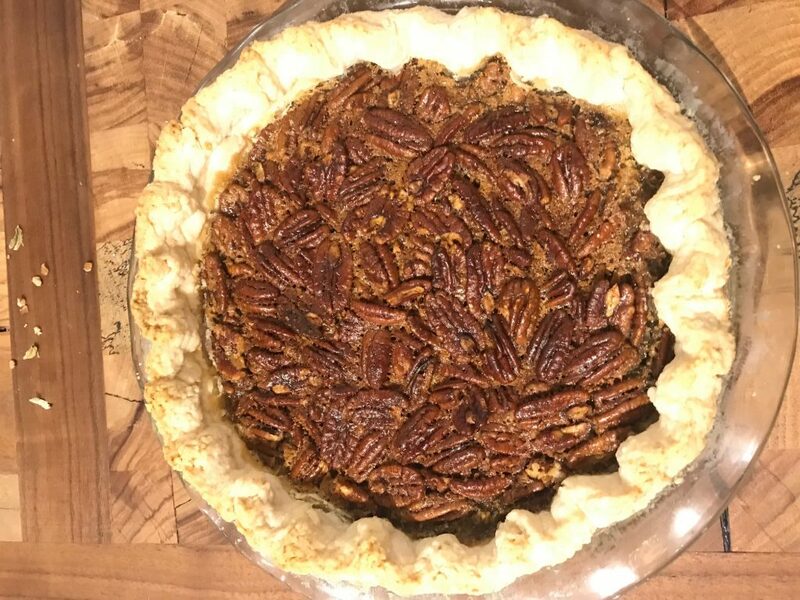 Here’s a link to a terrific pecan pie recipe and many more recipes if you want to add it to your list of traditional favorites this holiday season. Pecan Cookbook. There’s no reason to wait for dessert to enjoy delicious and nutritious pecans. You can make pecans stuffed bacon wrapped dates for a holiday appetizer, you can certainly add their flavor and crunch to salads, rice dishes and cooked vegetables and how about this? 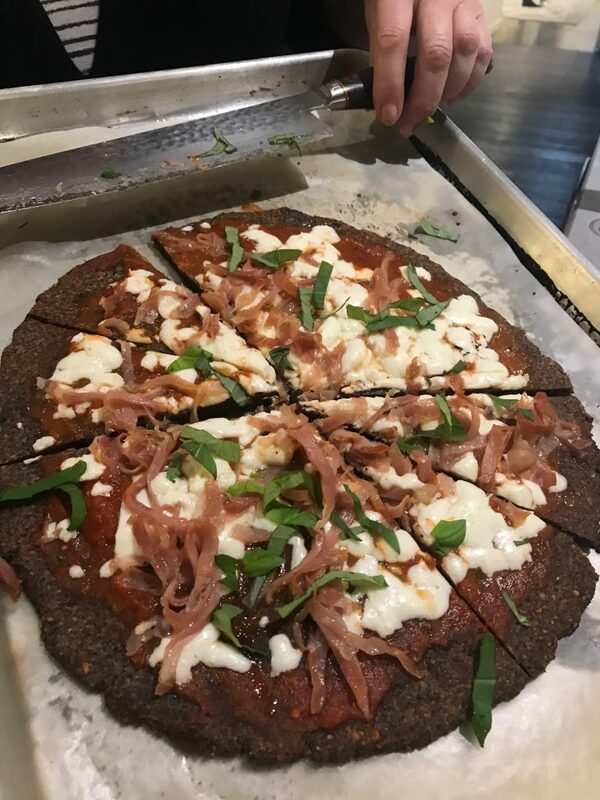 You can even make a pecan crusted pizza as pictured below. Sometimes it’s good to go to pieces! Here’s a tip about buying pecans and planning your recipes. There’s no reason to buy perfect pecan halves and chop them up for recipe because you can buy pieces which are slightly less expensive. You can also buy an even smaller bits in a pecan meal which is great for adding to meat loaf, meat balls or taco filling to add flavor and nutrition to the meat mixture or use pecan meal instead of meat in a vegetarian entrée. 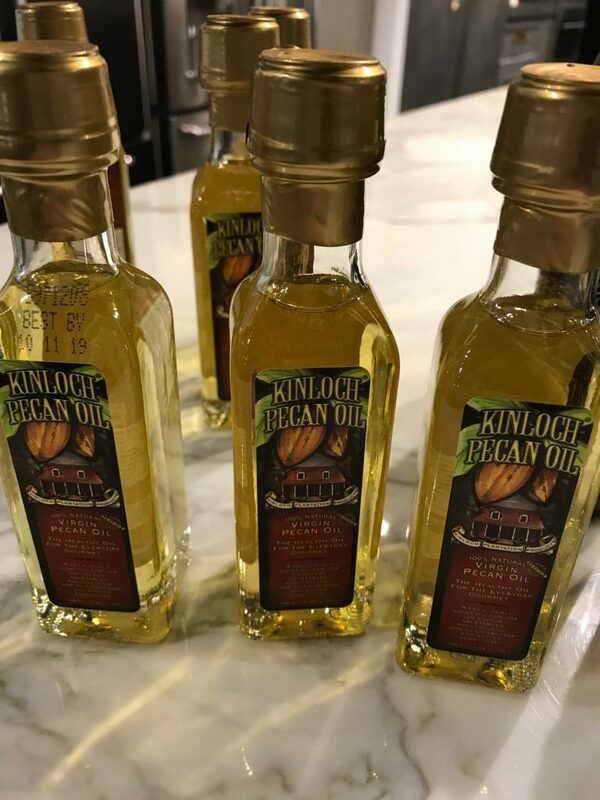 During the pecan chefs summit we learned to use pecan oil and to make pecan butter by processing toast to pecans to create an ingredient just as versatile as peanut butter but with the lovely taste of pecans. 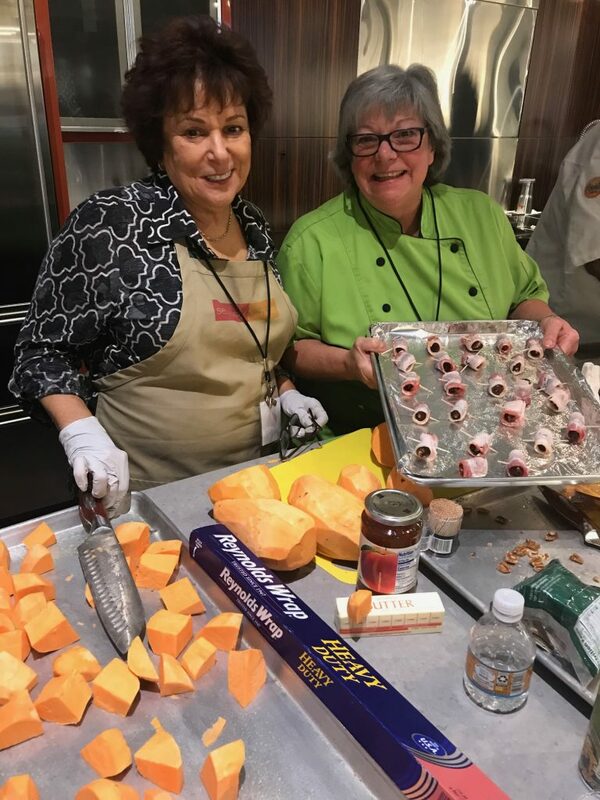 The best part about the chef summit was cooking pecan recipes with all of the invited chefs at Guy Gunter Home kitchen design center including California-based best-selling cookbook author Diane Worthington (left) and Holly Chute (right) the official chef for the Georgia Department of Agriculture. Here you can see Holly with the Bacon wrapped pecan stuffed dates and Diane working on a sweet potato casserole starring pecans an pecan milk! 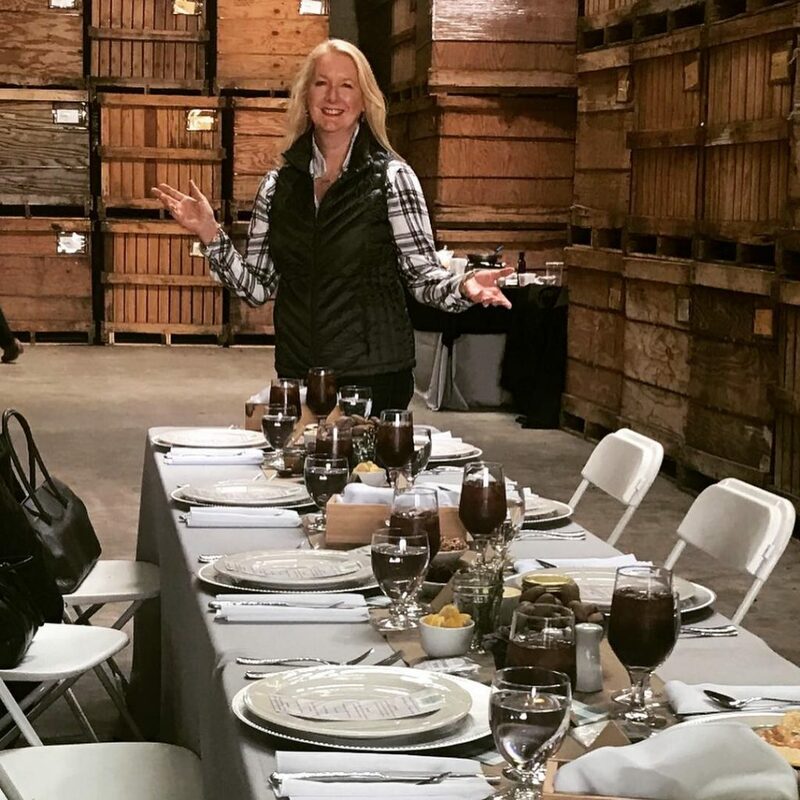 Here is the link to an article written by Diane Worthington including the recipe for the sweet potato casserole with pecans. And here’s a link to lots of terrific holiday recipes from I love pecans.org. A day at the farm: pecan farmers keep smiling even after the storm. The fall is harvest season in pecan country and pecans are grown across the south all the way to the south west of the United States. 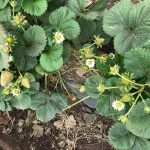 There are many different varieties grown in different regions. Some are larger than others, some contain more oil and have a slightly different flavor. It’s fun to get to know more about particular ingredient such is the pecan. But the photo below shows another reality of mother nature’s effect on agriculture. 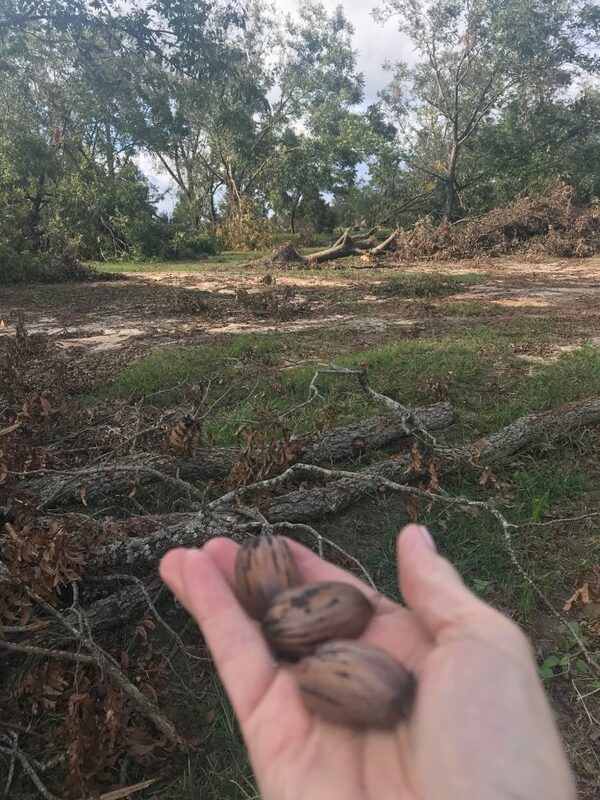 In early October, Hurricane Michael slammed into the panhandle of Florida moving north through Georgia and taking out thousands of pecan trees causing millions of pecans to be strewn on the orchard floor. This is a photograph from Sunnyland Farms near Albany Georgia where we saw first hand the devastation of the hurricane’s power. One of the best ways to help pecan farmers is one of the easiest things to do and that’s to enjoy the fruits of their labors by buying pecans and pecan products. Sure I love toasted pecans in a salad but I also love them tucked inside a chocolate bite of delicious holiday candy. 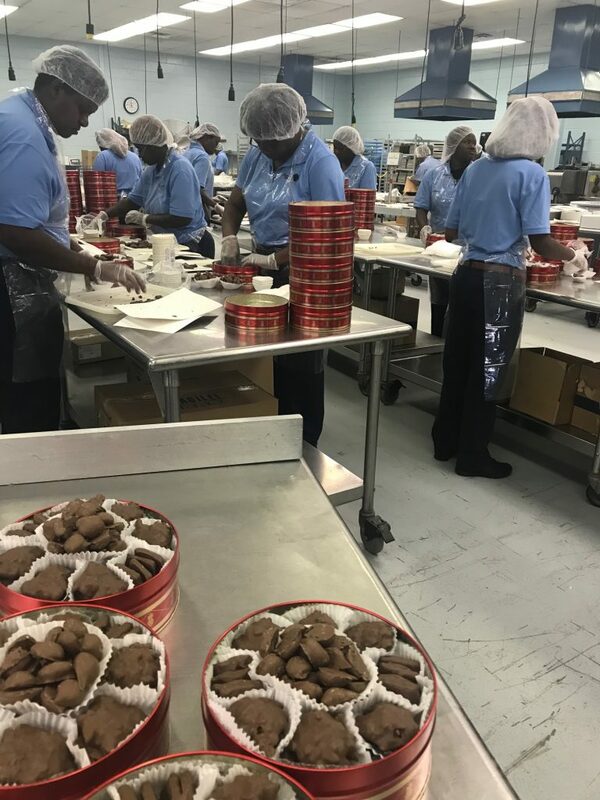 It felt like Santa’s workshop when we visited the candy making facility at Sunnyland Farms where thankfully there are enough pecans being harvested to supply your holidays! And yes you can order online and they deliver to your family and friends. 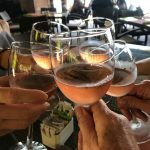 Happy holidays as I kick off lots of new posts to enjoy our happy and healthy kitchens. 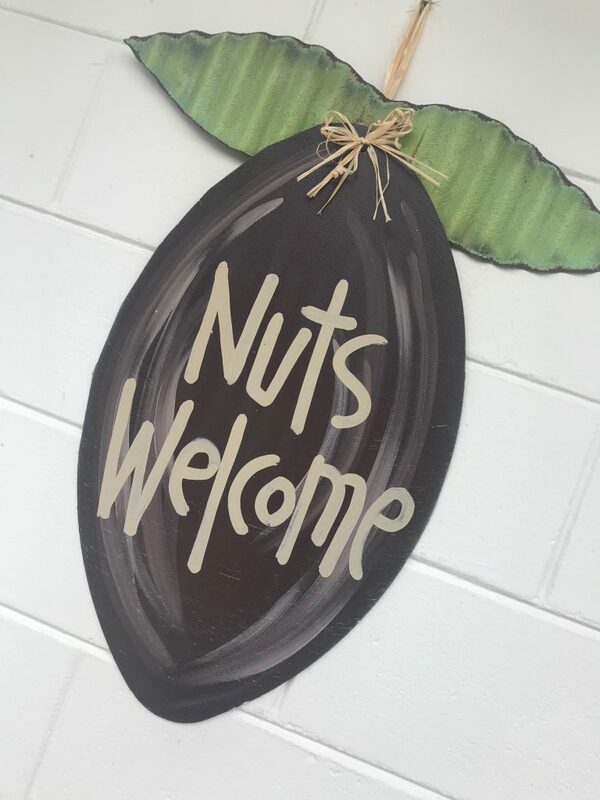 For 70 years family-run Sunnyland Farms specializes in only the best toasted nuts, cakes, candies, and chocolate made with pecans! 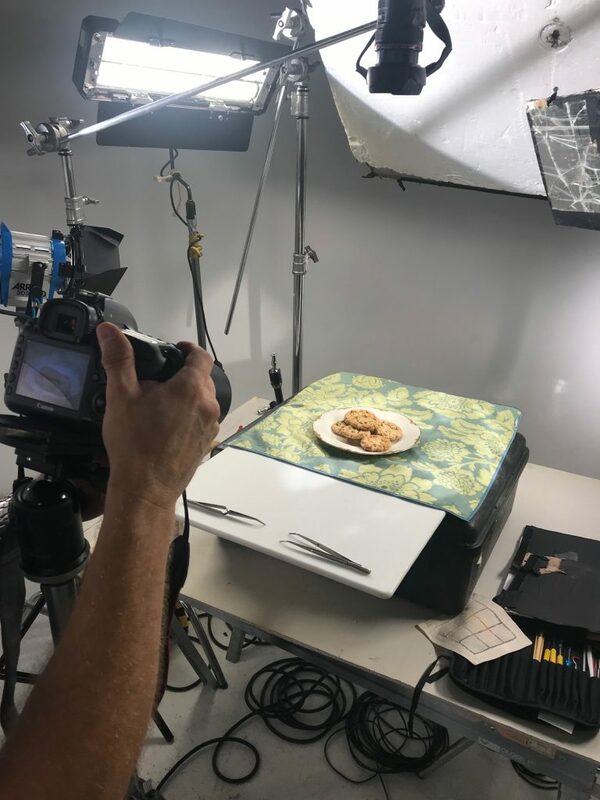 Bonus round: pecans ready for their close-up! 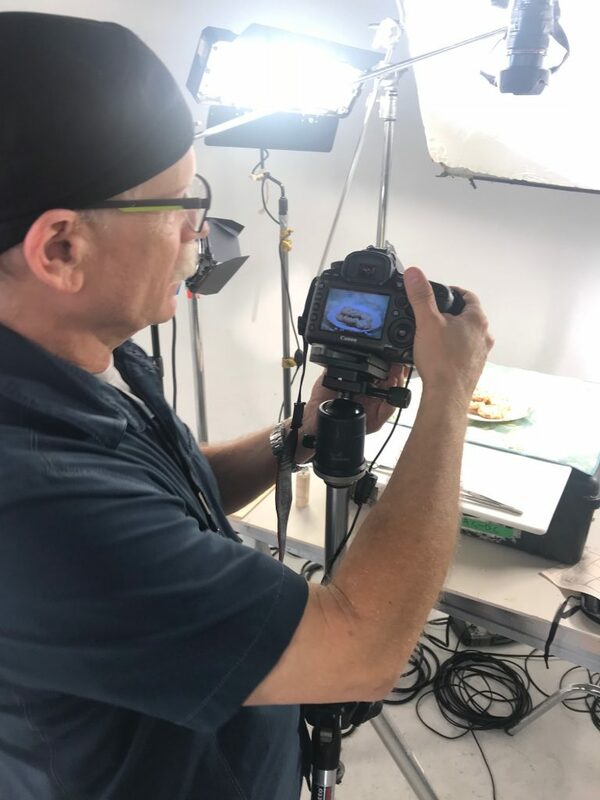 Professional photographer Marion Laney brings all of the bells and whistles with him on a photo shoot including tweezers to perfectly place food ingredients, just the right selection of linens and if you look closely on the upper right you’ll see a bit of broken glass artfully designed to scattered light. 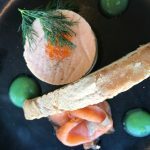 Get the latest news and recipes!